Opponent felt ahead across the whole frontline with reinforced reconnaissance, focus on both sides Uadi el Faregh. Enemy grouping by and large unchanged. On Halfaya front since morning hours heavy attack against Lower Sollum in progress. 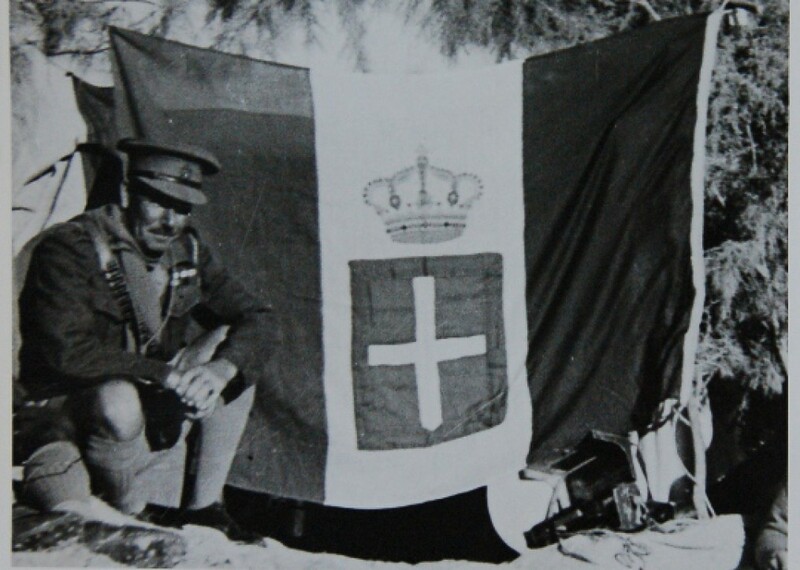 On 10 January some POW from 2 South African Division made at Cirener*. * Cirener was a strongpoint in the Halfaya position. Below is the aerial reconnaissance map for the day. I hope it is self-explanatory (and readable). 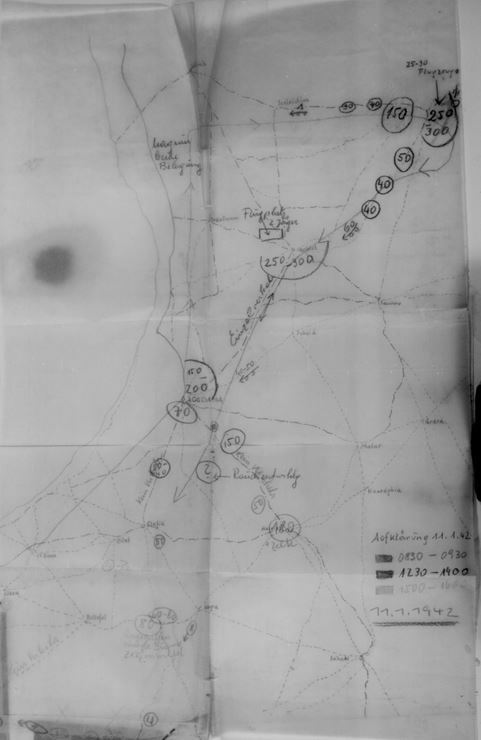 This entry was posted in Content and tagged intelligence, Panzergruppe, von Mellenthin. Bookmark the permalink.